Three hour painting at All Nations Park, Northcote in Melbourne. 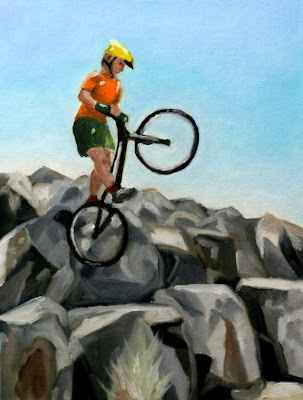 Painted a bike figure afterwards. This is my last painting this year. It's been a long journey, and, I'm reasonably happy with the progress so far. Painting has given me a new way of looking at people and nature, and made me more aware of the surroundings. Oil on cotton canvas. 12 x 16 in.